I've gotten some questions over the months I've been blogging about where I display my polaroid photos. I actually have a couple different set-ups, since I've actually changed rooms in the last few months, so here are two awesome ways to show off your polaroids! This is how I'm currently displaying my photos, and I love it! I find people see this the most, since my kitchen & dining room are attached, so its nice to be able to display them in a way that people can look at them. At $3 per photo, you kind of want to be able to show 'em off, right? haha. You may not want to do this if you have young kids, because they can fairly easily ruin them by bending or touching them, but you could always just so the top half! When I was in my tiny little bedroom a few months back, I couldn't fit a headboard in my room. So I displayed my polaroids above my bed in this heart shape to add at least something to the wall. Unfortunately this was before the time of me owning a nice camera, so this is an iPhone photo. You get the idea, though! 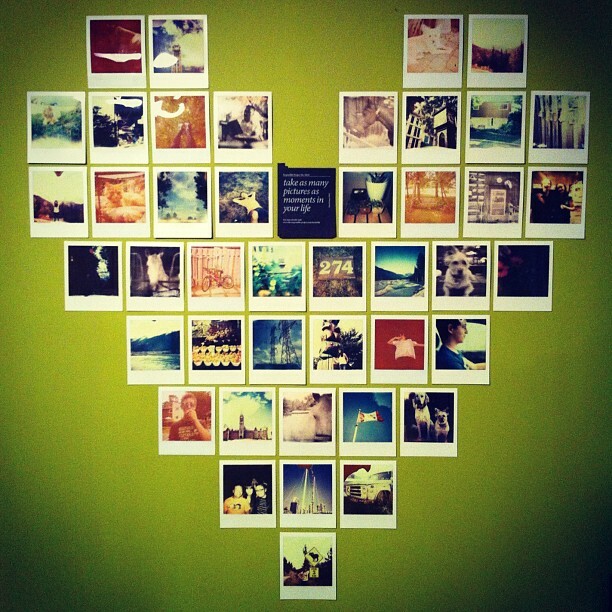 Anyways, hope this maybe gave you some ideas of how to display your polaroids (or instagrams!). If you have a neat way of displaying your photos, please link it in the comments below - I'd love to see! I hung a bunch of Instagram photos on my fridge the same way! Your post makes me want to get my polaroid camera out. I need to buy more polaroid film, I am in love with the look. I love both ways to display them, I think I'll go with the fridge idea when I move in! Looks so good! Love the display! I started a wall in my art studio with all my polaroids.. ever expanding! 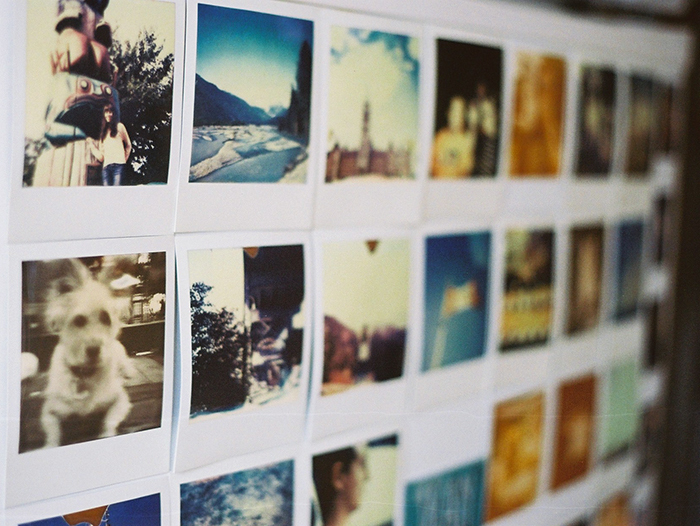 I just love, love, love polaroids!!! I love both of these setups! I love the last placement, as a headboard, and the arrangement is so cute. 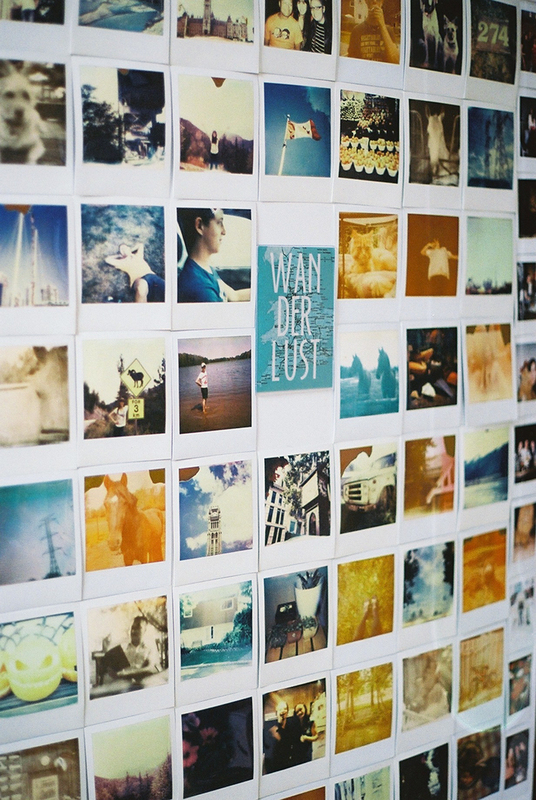 I want to do this so badly, but my husband doesn't like things on the walls, haha! I love the heart collage! I feel like dying because of it! Our walls are bare... plain WHITE! haha!